Discussion in 'Pregnancy - Second Trimester' started by stephlw25, May 14, 2007. Hi hun hope you are well, just wondering if you have had your scan yet and found out what your having?! I had my scan last week- everything was fine thanks. In the absence of any boy type danglies, they think its a girl! Aw, lovely. One of each! 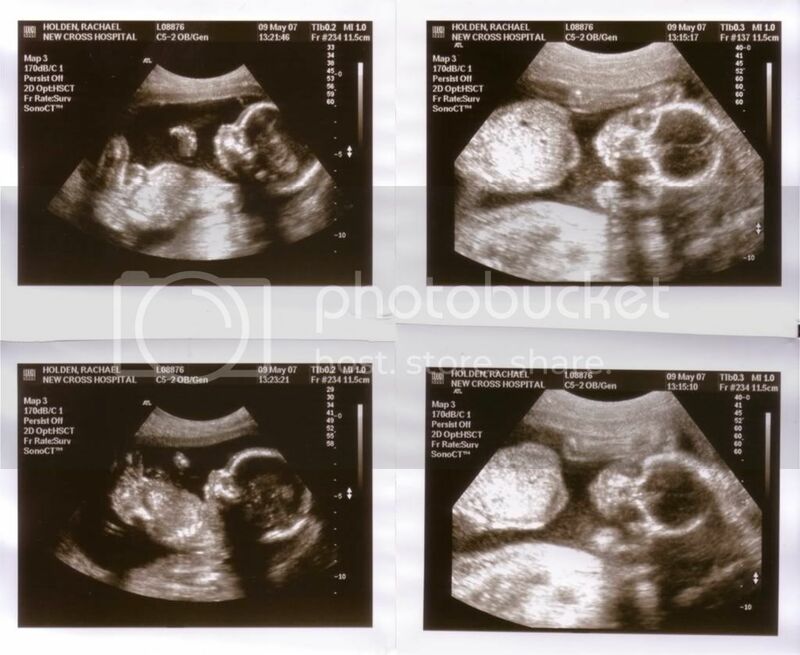 Aww congratulations hun .. fab scan pics! charl gonna update for me in a bit as hospital internet poo and im all shakey so missing buttons! CONGRATULATIONS!!!!!! One of each is fab! I didn't get to reply to the email as I didn't see it until about 6 & assumed you would have left the office by then? It was your work email addy I think.